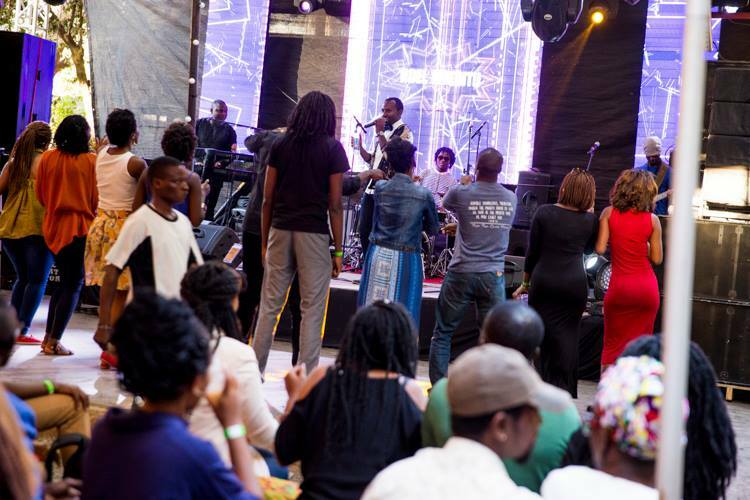 This past Sunday, fun-loving Nairobians were treated to Jazz Attitude at the Alchemist Bar. The inaugural concert featured a stellar lineup. 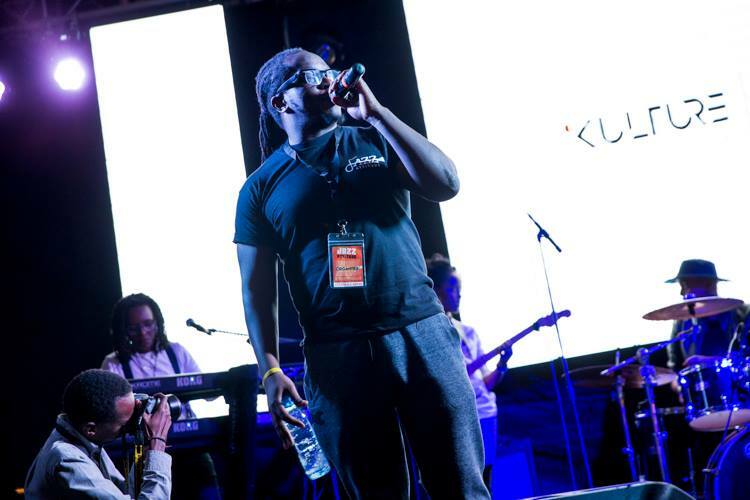 It’s not every day that you get to watch Aaron Rimbui at such an open air event, June Gachui, Tetu Shani, Threat Band, Noel Nderitu and Adhoc all sharing a stage. The event Organizers choice to have it on the 25th of June was brilliant. 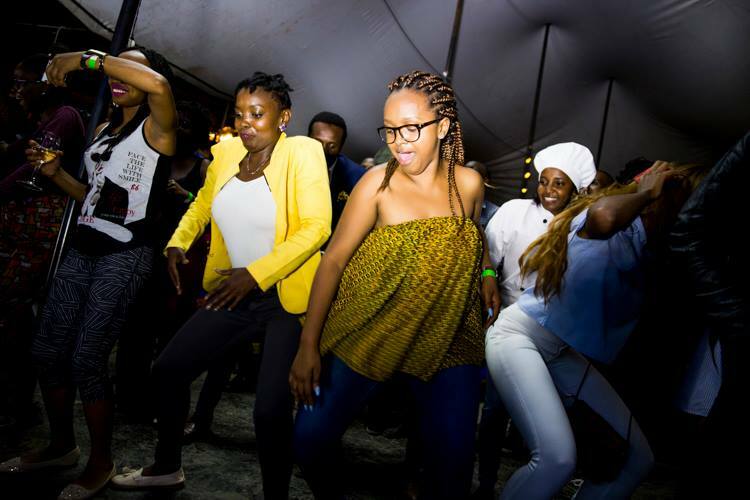 It was a long holiday due to the Idd-ul-fitr celebrations, many Nairobians saw this as an opportunity to let loose and take advantage of the long holiday. It was a sold out event, revelers who had missed out on the advance ticket sale, were lucky to find gate ticket sales still on. The Alchemist was fully occupied to the brim, thus many people were forced to spread out their Maasai shukas and sit on any platform that seemed like a flat area to lay their bum to rest or scooch over and stand at the bar section. The atmosphere was filled with different aromas, sweet, sour, and spicy, of all kinds and worked on our appetite to the max. 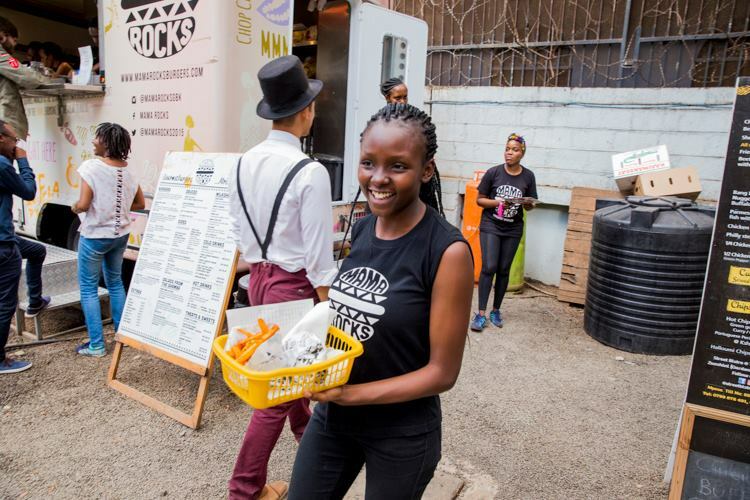 Different food vendors were also in attendance – Mama Rocks with their delicious burgers and roasted chicken being the most popular. Adhoc band, set the day’s fun fare rolling with their performance. 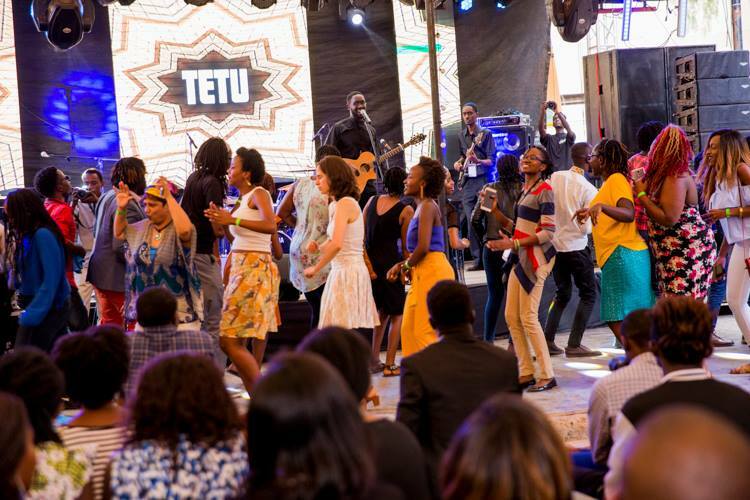 Tetu Shani, who is popularly known for his Mood Music that fuses folk music with a bit of pop. His music took us on a spiritual journey. We sang along most of the songs that he performed such as: high definition, Cheerie coco, rain rain go away, 6 degrees, and African Sun. 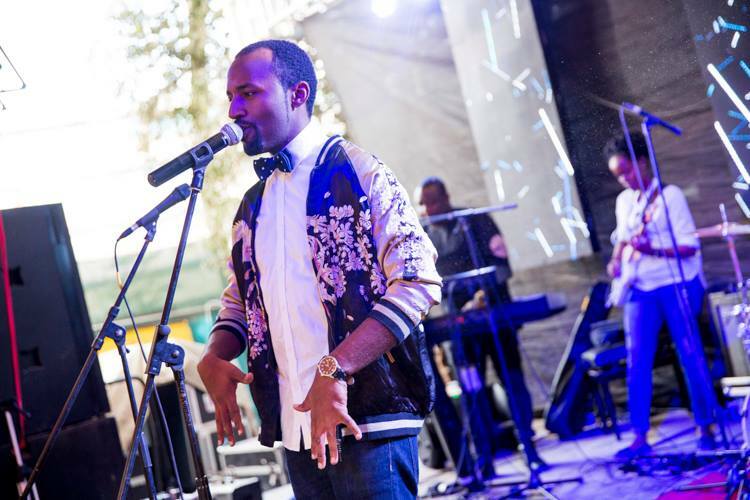 Noel Nderitu later came to stage to an already psyched up crowd and continued to fire it up with hit songs from his recently released album; The Bridge , his music had uplifting lyrics. 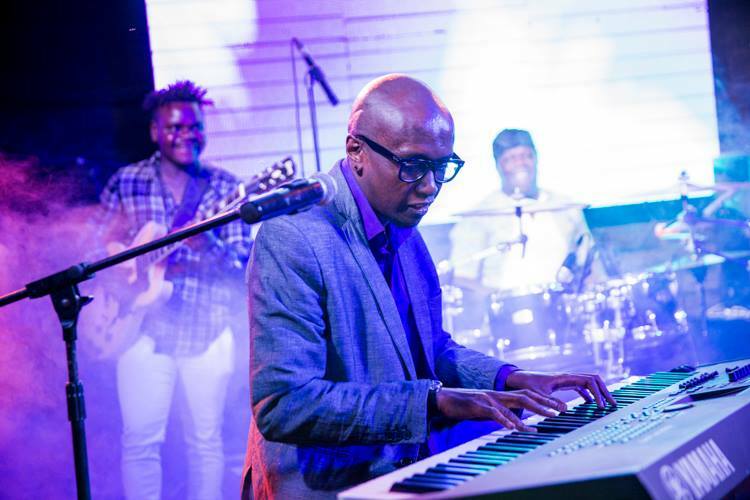 Noel Nderitu is a well renowned gospel artist being a Sunday, it was a great way for some audience members who hadn’t attended church to be taken to church. Noel performed You, which is one of my favorites. 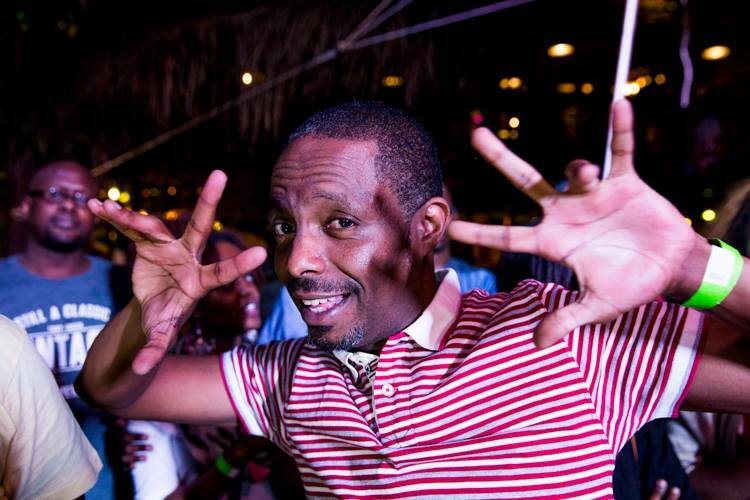 Dj Taio Tripper kept the crowd engaged as he mixed most of our favorite international and local songs. Threat Band took over the night with an intro track which was a threat by itself. Their performance that evening was nothing short of electrifying. 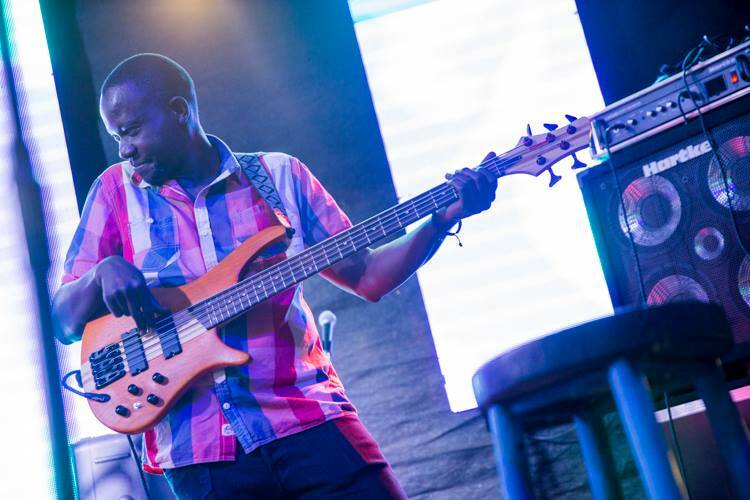 Aaron Rimbui, is just from a successful South African Musical tour where he showcased his music, performing and curating new music with drummer Sphelelo Mazibuko and Nigerian bassist Amaeshi Ike children. Aaron, served a beautiful delight of his music. He sampled some music from his recently released 3rd album; Deeper. It was beautiful to see how he caught the attention of many, in a mixed crowd of contemporary music lovers and jazz aficionados. 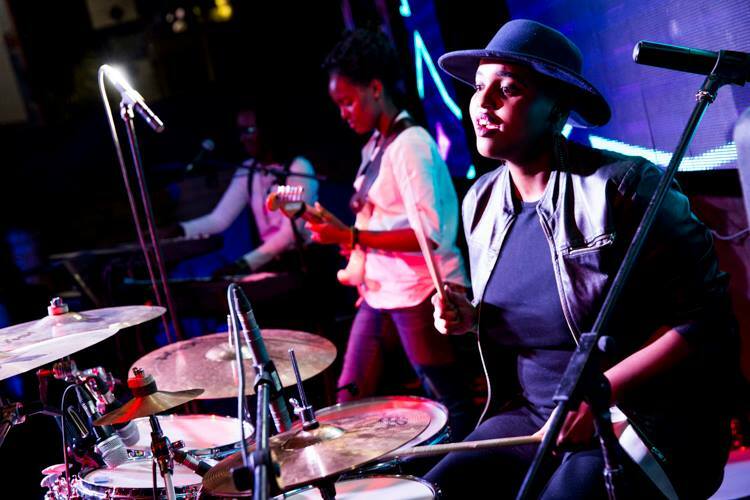 Aaron Rimbui Trio drummer, Amani Baya, was the man of the night, he teased us with his incredible talent on the drums. 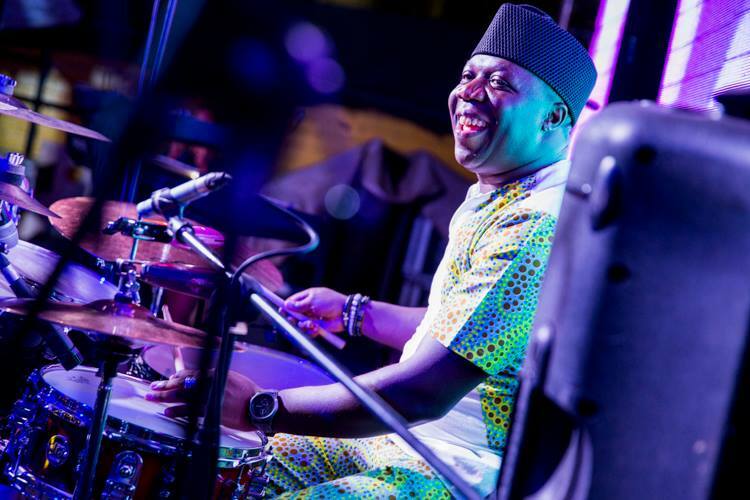 His versatility on drums mesmerized everyone; The crowd was thrilled. 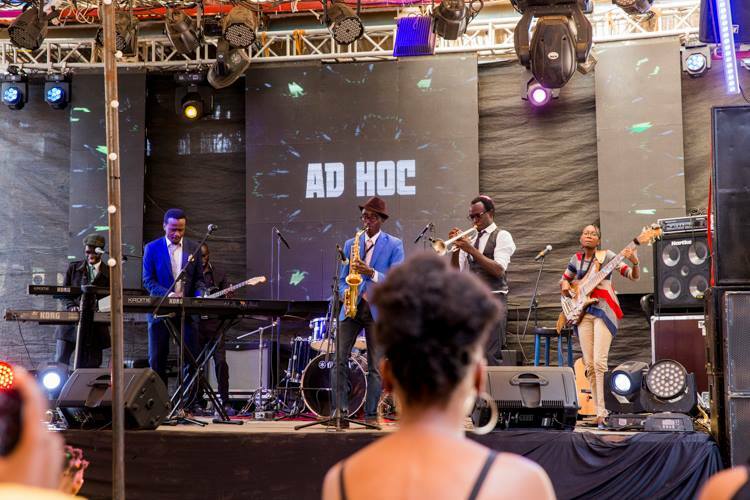 The audience moved even closer to the stage to dance along to the astounding sound of the Aaron Rimbui Trio sounds. 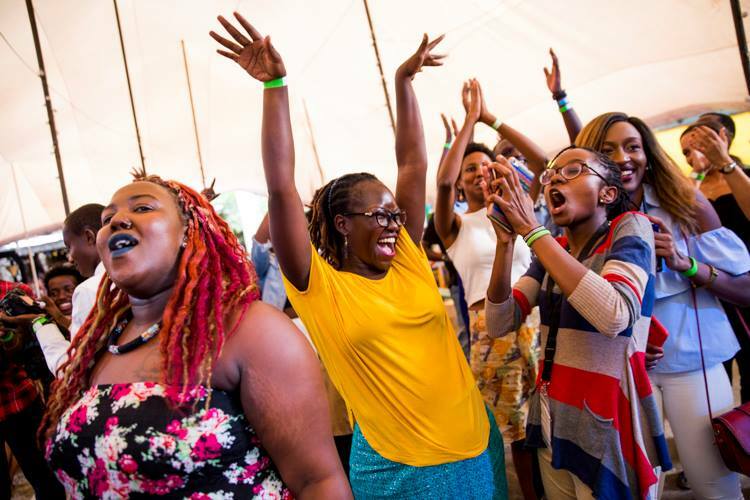 As the night fell, June Gachui stepped on to the stage; she was welcomed to an enthusiastic crowd that went on to sing along to her songs and boogie to her music. June and the Flower Project had an outstanding command of the stage, their engagement with the audience alongside the stories June told in between songs made it such a fascinating performance and comical one as well. June sampled great hits from her album 20 years, which is a must have btw, it is available on My Mookh . She performed an incredible Jazz standard, such as cry me a river. 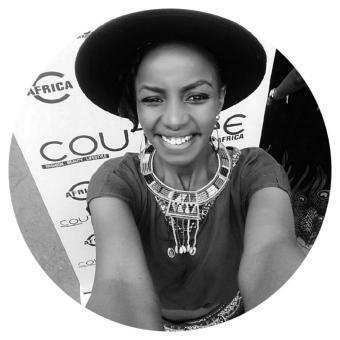 What is a June Gachui performance without it the song ‘good day’? 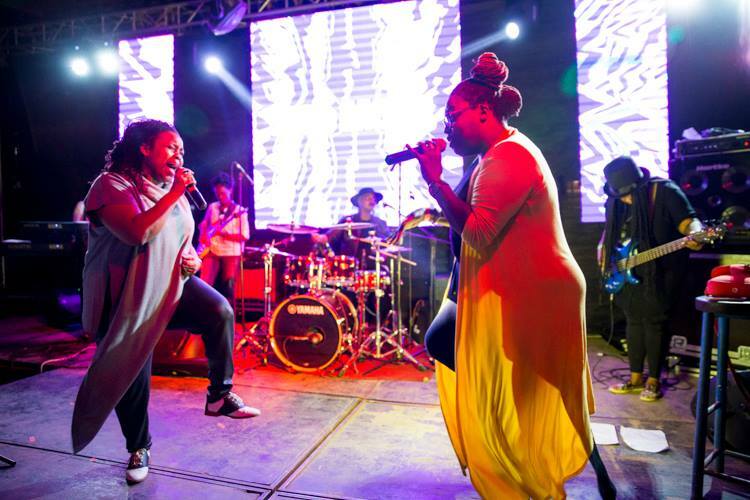 Her sister Angie Gachui dazzled the crowd as they did an electrifying duo performance with June Gachui. 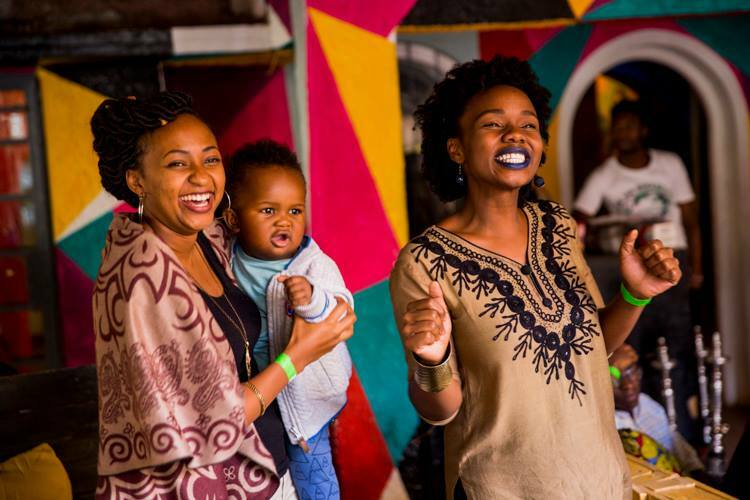 Jazz Attitude will be a regular monthly event, it is scheduled to be on the last Sunday of every month, if the premier event was anything to go by, it will definitely be something to always look out for and attend. 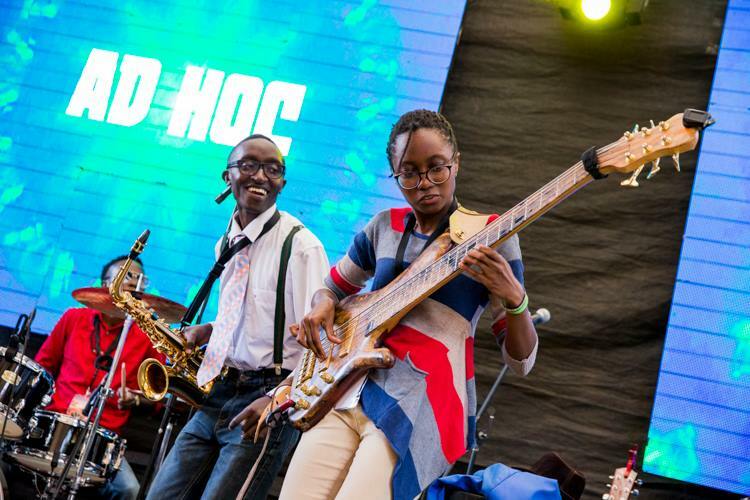 During this past event, did you need shukas to sit on; like how SafCom JAZZ Fest does it, or were there seats? The event organizers had allocated some space for some haystacks that were laid out. I used the shukas for the space left around the bar area. But you know what, you might not need the shukas, you will find yourself dancing. Be there early like at midday and reserve space for your squad. The Alchemist is a bar. Yes there were seats.